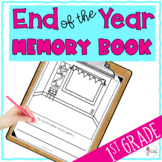 This is listing is for an end of the year memory book for your first graders that has them reflect on their year in first grade. 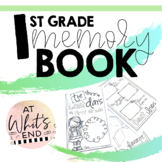 I love making these memory books since so few of my students have the ability to purchase yearbooks. 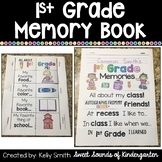 Included are 11 reflection pages for your students: 1. 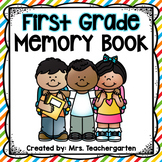 School Page 2. 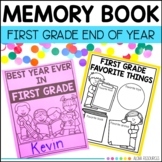 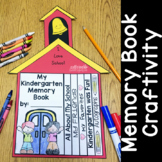 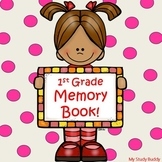 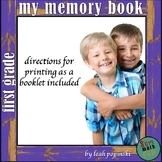 First Grade Memory Book, scrapbook or coloring book. 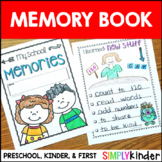 Seven pages of favorites, memories and more. 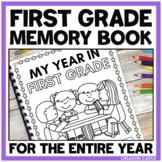 This is a wonderful way to commemorate the year.